To be treated as a valued customer. Very polite and respectful chaps at Chelmsford branch. Very helpful and honest. I will be using them again. The Chelmsford team were excellent replacing the exhaust on our RAV4 - concise advice, good value and swift, professional service. Very fast and efficient service. Two tyres changed in twenty minutes. I really like this depot and the fact that it's an older building, not laid out like an airport lounge with all mod cons. That means you're close to the action and do get to really speak to the guys who do the job on your car, and cars in general if they have a moment. They're a helpful, cheerful crew and i've always had good service here - so no hesitation in recommending them. Prices are generally competitive with others but as i've hinted already, to me that's not the be all and all because customer service is always important. Helpful and knowledgeable staff at the centre. The two guys at the branch were polite; the manager finished dealing with one person, before attending to me, (which I feel is correct); his assistant dealt with my car quickly. Polite and Courteous Friendly Staff. Instant Service. Convenient location and customer parking, knowledgeable friendly staff, fast service = satisfied customer! Fast polite efficient service was received. 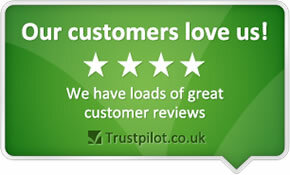 The service is always very efficient and very professional, never patronising which can be the case elsewhere. Am usually pleasantly surprised by the pricing. The good service received at your chelmsford branch. Ron and staff polite, helpful and showed me the parts that needed changing on my car. They let me wait until car was completed. Even made me a coffee. Well done. Prompt service, friendly efficient staff, i was shown where my puncture was on my tyre. Really good service. Because of the quick and efficient way I was dealt with. Competitive price and excellent service. The service from the staff was very good. They were friendly and gave advice on tyre pressures and looking after my tyres. Professional approach by the service desk. Knew my company's processes and took on ownership of resolving the problem. Phoned back quickly with details of arrangements made with a local depot. The key positive here was that they had my tyre in stock. Local depot had all the paperwork available on my arrival. Quickly changed the tyre and I was on my way within 20 minutes. Good service, competitive pricing and pleasant people . We needed a new tyre on one of our works' van urgently and it was all done and back on the road in half an hour! Good,fast service at a reasonable price. I was served efficeintly and politely from start to finish,the work was carried out quickly and to a high standard and the price was very competitive. Quick and professional service with a smile! Was seen to quickly and waiting time reasonable. Staff very good. Helpful and knowledgeable staff good range of budget and main brands no Michelin?